The estimated 126 daily visitors, each view 1 page on average. 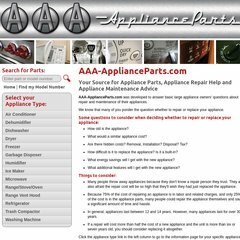 It has 1 DNS records, spheradnsmanager.aaa-applianceparts.com. Olm Llc (Connecticut, Trumbull) is the location of the Apache/1 server. Its local IP address is 65.18.190.84. PING (65.18.190.84) 56(84) bytes of data.